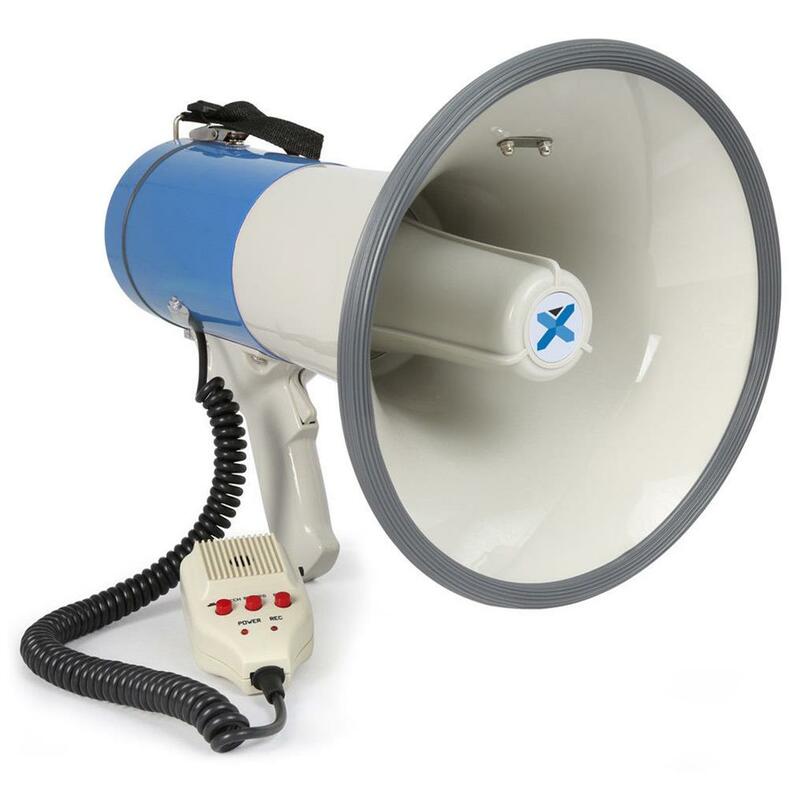 Megaphone with 60W output, USB input and a slot for a SD card, which can be used to play music through. Siren function. It is larger and more powerful than our small, lightweight 30W megaphone. We also have a Mobile PA that is smaller, lighter and gives better sound quality than our megaphones, but is less powerful (20W). USB or SD card if you wish to play music or audio through it.